The AUD vs USD is the abbreviation for the Australian Dollar (AUD) and U.S. Dollar (USD) currency pair. This signifies how many US Dollars (the quote currency) are needed to purchase one Australian Dollar (the base currency). In trading jargons, the AUD/USD currency pair is also known as the “Aussie”. AUD vs USD is considered to be a commodity pairing. It involves currencies from countries that possess large quantities of raw materials. In the AUD/USD currency pair, the commodity that serves as the catalyst for exchange rate valuation is gold. Both Australia and the United States play a key role in the global production of gold, ranking third and second respectively. Furthermore, The United States is the world’s fourth-largest exporter of gold (US$ 19.3 billion annually), while Australia is the world’s seventh-largest global exporter (US$ 10.7 billion annually). Gold has a positive correlation with AUD vs USD. When the gold goes up, this currency pair goes up. But when the gold goes down, this currency pair also goes down. Historically, the AUD/USD currency pair has had a whopping 80% correlation to the price of gold. The AUD vs USD currency pair is one of the most commonly traded currency pairs on the forex market. In a volume-traded perspective, both are classified as major global currencies. The United States Dollar is ranked as the most frequently traded currency in the world, while the Australian Dollar ranks fifth. Here are some of the reasons why investors and traders are attracted to the AUD/USD currency pair. The liquidity of the pair attracts intraday traders who are looking to implement strategies aimed at profiting from short-term exchange rate fluctuations. The goal of achieving a long-term capital appreciation is one of the reasons why investors commonly take positions in AUD/USD. No Matter which style of market participation is preferable, AUD/USD is one of the best candidate for active trade. 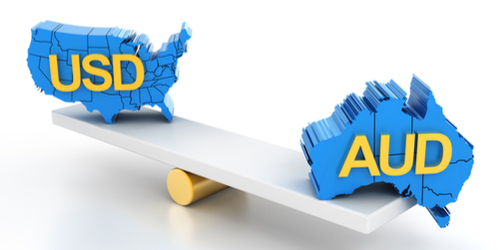 With its undeniable potential, there is no doubt that the AUD vs USD currency pair is a good option for forex trading. If you are interested in trading this pair, you should contact Financials Trading Online (FTO) today. We offer a wide variety of currency pairs and the best forex trading tools and services in the industry.